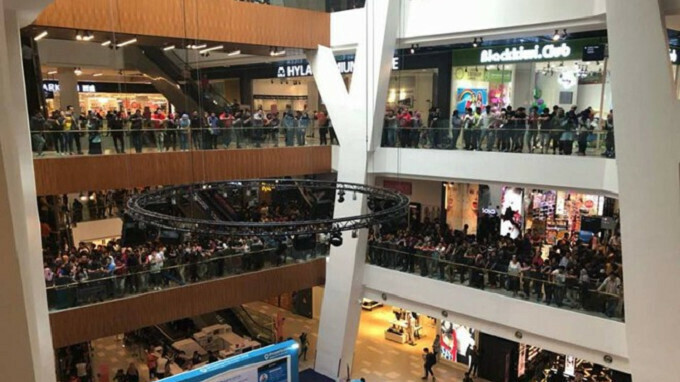 Switch, an authorized Apple retailer in Malaysia, was about to hold a massive clearance event on older iPhone and iPad models. With the price of the Apple iPhone 5s cut to $50, and iPads starting at $79, consumers throughout the country were attracted to the deals. In fact, a huge crowd of over 11,000 formed a line outside the store on the evening before the sale was scheduled to take place. The huge throng appeared even though midnight queues were not allowed at this particular Switch location. Switch employees handed out claim tickets to those at the front of the line, but as the doors opened the crowd became unruly as everyone tried to push their way into the store. With the conditions becoming extremely dangerous to consumers and store personnel, the retailer shut its doors and cancelled the clearance sale. Had Switch not decided to put the kibosh on the deals, there is no telling what might have happened. After all, there were only ten Apple iPhone 5s units available for $50 and just one iPad Air 2 priced at $79. Switch did offer a small discount on the 64GB and 256GB Apple iPhone X, and a 32GB Apple iPhone 6 in gold during this past weekend. 10 iPhones - 1 iPad - 11,000 people.....what could go wrong? 11,000 people? Sounds like a load of sheep people to me. Sounds like a load of people wanting a quality product. This would never happen with trying to sell a Galaxy S5. I saw the clearance ads few days back when I visit the mall, my guts told me that with that price probably it gonna attract tons of people, boy my guts was so d@mn right.